Can you believe it? We're just a mere three days (or two, if you count the Wednesday night previews) from the theatrical release of Finding Dory! 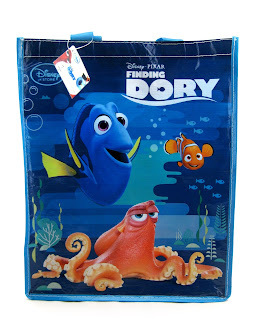 With that in mind, today I wanted to share with you this Disney Store exclusive Finding Dory reusable tote bag. This was released back in April along with their full collection of Dory merchandise and features colorful screen art of Nemo, Hank and Dory herself against a subtle, minimal ocean/reef backdrop. This is a roomy medium sized bag (15'' H x 12 3/4'' W x 6 1/2'' D) with reinforced fabric handles and plenty of space inside for goodies. Oh and did I mention it's made from 80% recycled materials? 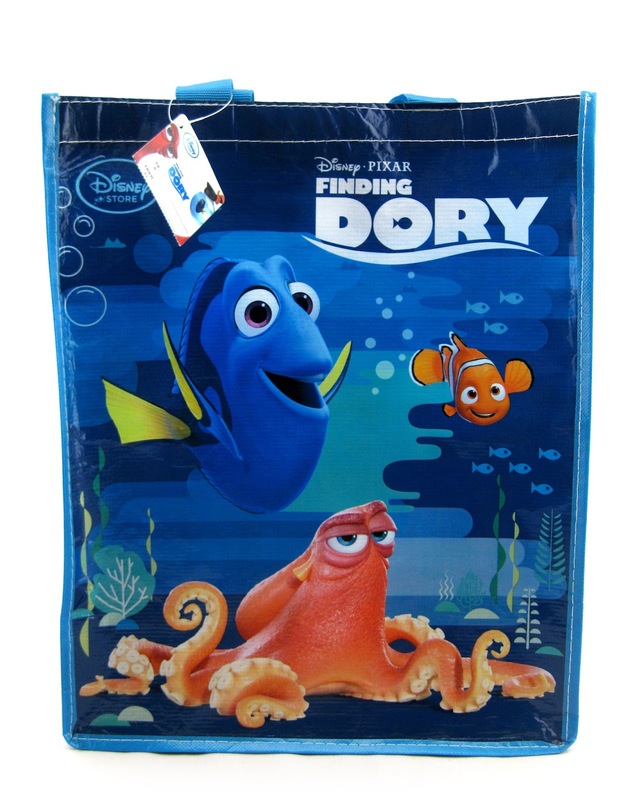 Whether you're using this for shopping, as a gift bag or just as place to store your Finding Dory merch in (action figures and other toys), this bag can come in handy for any fan of the film. 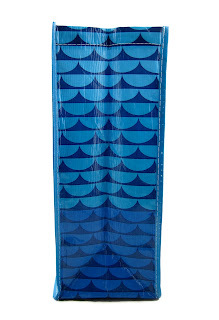 Check out the other angles of the tote below! 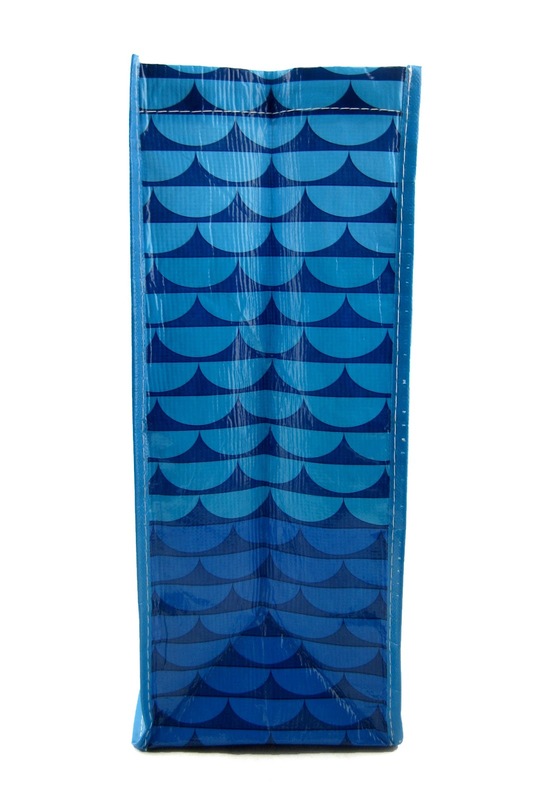 At my birthday party last month, this bag was used as gift wrap- but it was also a gift in itself. 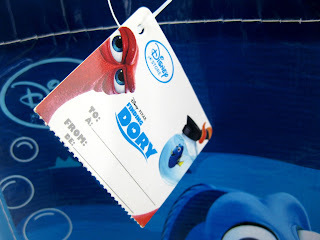 I'm totally holding onto this and using it as a storage bag for some of my Dory items. 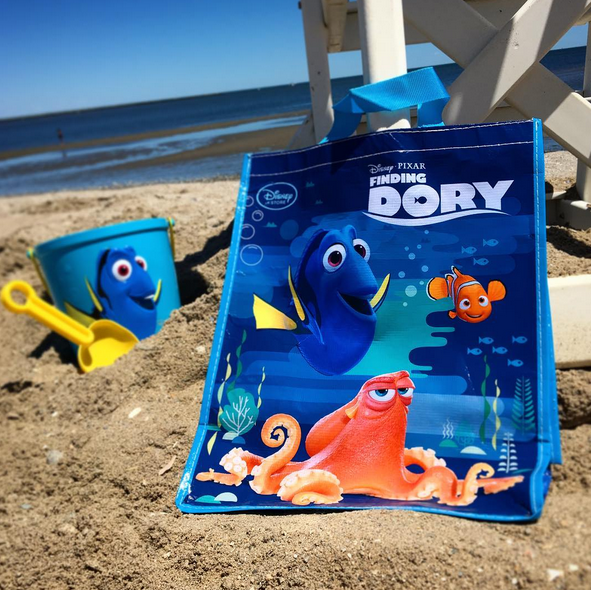 If you're a Dory fan looking to pick this bag up for your collection, you can find it currently at the Disney Store (usually near the check-out) or on their website HERE. Retail is only $2.95.